That’s it… Keep breathing… Don’t think about the crowds… It’s just another race… I race all the time, I can do this! Wait for the gun, and… GO! Oh no, bad start. Don’t panic, keep calm… Keep breathing. Wait for the climb, here it comes, let’s go, I’m going to take these places! 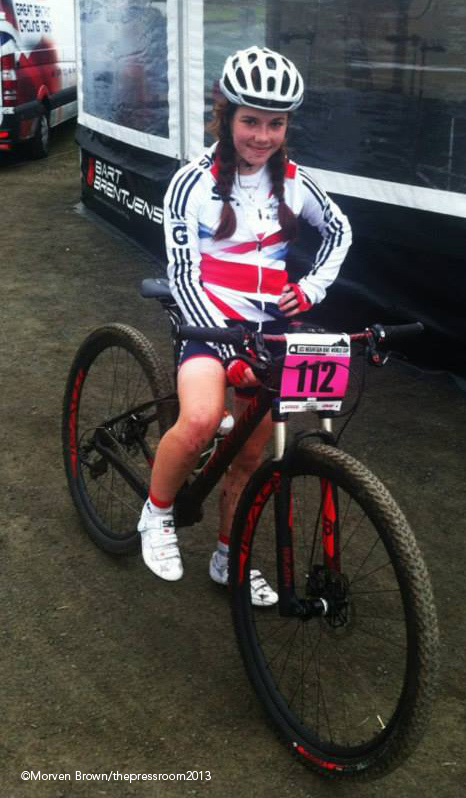 It was the morning of Sunday 15th of September 2013 and first year Junior, Isla Short, from the Scottish Borders experienced her first start in a UCI World Cup Cross Country Mountain Bike Series race. 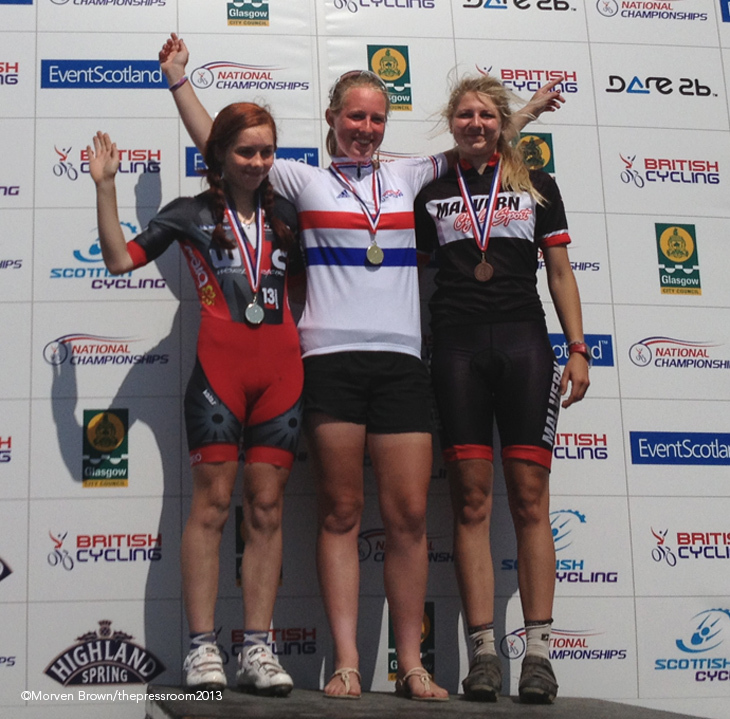 Short claimed an outstanding 5th place at the final round of the 2013 series at Hafjell in Norway, cementing her place as one of Britain’s top junior cyclists. The young rider from Peebles has leapt to the top of the British mountain bike scene. With holidays spent on cycle tours as a child and a father who still races, it seemed destined that Isla would invariably turn to cycling. In 2011, she first dipped her toe in the world of mountain bike racing when she took part in an endurance event with her dad. It was love at first pedal, and Isla, never one to shy away from a challenge, promptly entered the entire British National Cross Country Series. Building on her success in 2011, Isla left the specialist music school which she had attended, allowing her more time to focus on cycling and racing. It was a big decision, but one which has been proven to be the right move. 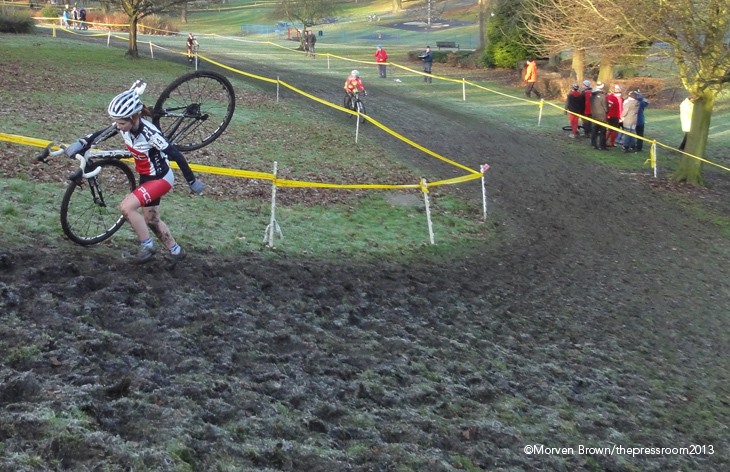 In the 2012 British Cross Country Series, she improved on 2011, sealing the overall with four 2nd place finishes and victory at the final round of the series in Essex. 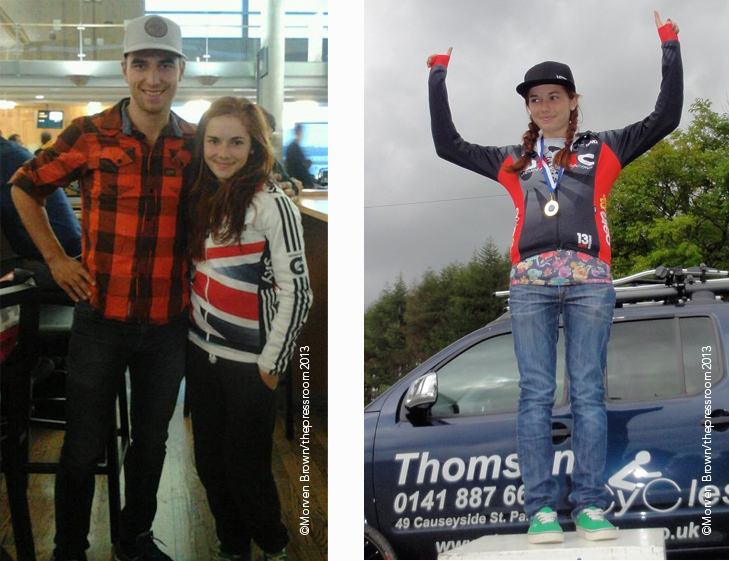 Isla also travelled with the Scottish Cycling Youth squad to the European Youth MTB Championships in Austria. The experience in Austria taught her vast amounts about racing, providing a smooth stepping stone to World Cup level. It was her experience in Austria that first brought about the realisation that cycling could be more than just a hobby; Isla now looked to turn her passion into her career. Isla was on a high after a successful season in 2012, with excellent results in Scotland and at national level, followed by an intensive winter training programme to build fitness with a first peak in March ready for the start of the Cross Country season. However, in February 2013, a terrifying accident on the road left Isla seriously injured. Riding her bike on the way to meet her dad for training, she approached the road crossing she used, and still uses, every day to get to Glentress. Struck by a car, the injuries to her body were immense. Suffering from a broken clavicle, two fractures to her spine, and an incredible amount of road rash and bruising, Isla was out of action, but, thankfully, still alive. It’s been a long and rocky road to recovery for Isla, with setbacks and minor lasting injuries. For example, she still suffers from back problems with spinal pain after a particularly bumpy or long race course. Her training is now back to normal, and physically she can deal with these injuries. Always one to look for the positives, she also cites the accident for improvements to her riding. Her technical skills are better, as she now takes the time to think through difficult sections. As a result of the accident, there was a slow start to the 2013 season for Isla, with complete recovery at the top of her agenda. However, her times and placings began to improve and she allowed herself to reignite her goals for the season. At the 3rd round of the British series she placed second, only 57 seconds behind the Great Britain Olympic Development Programme (ODP) rider, Alice Barnes. Scottish Cycling coach Paul Newnham encouraged Isla to aim for World Cup selection, however at this point Isla still wasn’t quite ready to believe it was possible. Then, a month later at the National at Margam Park in Wales, Isla had narrowed the margin down to 25 seconds. She dug deep and began to believe that she could make it to Norway. A stunning victory at the final round of the British series on the Olympic course at Hadleigh Farm saw Isla make the grade and gain her selection to race internationally. The entire experience passed in a blur of excitement for Isla who relished the opportunity to learn from being at a World Cup event and travelling with top Elites. She also took advantage of the female specific training times, allowing her to practice on the course and develop confidence in the days leading up to the race. Practicing with British Cycling coach Simon Watts, Isla soon realised that the course suited her strengths and that she could build a real advantage on the natural climbs. Fortunately, it was not the most technical of courses on the World Cup circuit, as certain tracks can test the limits of possibility on a carbon-fibre hardtail race bike. In a quality field of 19 Junior girls, before the race Isla figured that placing in the top 15 would be respectable for her first time racing with so many unknown factors. She put her focus instead on learning from the experience and to enjoy herself without aiming too high. Waking at 5.45am on the morning of the race, to eat breakfast at six wasn’t the best pre-race preparation. Isla forced herself to eat her breakfast with her eyes half shut and started to worry about not waking up enough in time for the race start. Travelling to the race with Team GB, the nerves started to kick in as the crowds and pressure grew, and reaching the start line, Isla knew she had to compose herself for the biggest race of her life so far. Spurred on by the cheering crowds and the announcements of “Isla Short riding for Great Britain in fifth place!” every time she crossed the start-finish line, Isla kept the pressure on. Tackling the last, natural, technical, rocky drop off on the final lap into the arena, Isla composed herself ensuring that she stayed on her bike, avoiding potential disaster. As she crossed the line in a fantastic 5th place the season really was complete for Isla Short who has battled all adversity in 2013 to finish the season in an extremely strong position in the world. 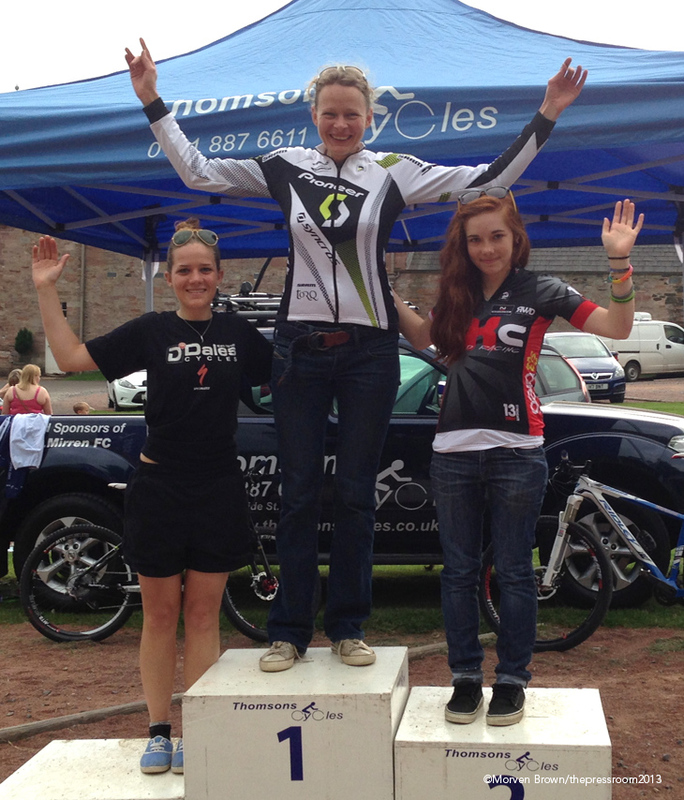 For 2014 the main focus for Isla is already the British National Championships, to be held at Hopton Woods in Shropshire. The course has a reputation for suiting climbers, with Isla hoping to build on her 2nd place at the 2013 Championships at Cathkin Braes in Glasgow. 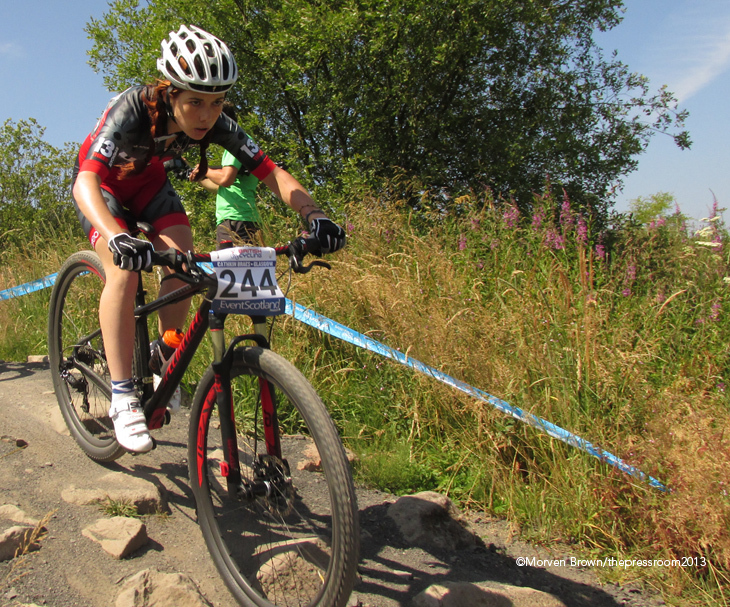 If she achieves her selection for the ODP, she will have access to the World Cups and Swiss Cups, all of which will allow this young rider to gain invaluable racing experience for her future career as a mountain biker. The new team that Isla refers to is Thomsons Cycles from Paisley, where she was brought in to act as a role model and a mentor to the Youth riders on the squad. She is enthusiastic to help out, as she is good friends with the girls on the team – the illustrious Allen sisters – and knows that her performances on the World stage set an excellent example. She was attracted to the open and friendly nature of the squad, where all the team members and shop managers are nurturing and supportive of aspiring riders. This kind of environment will allow her to grow and develop as a racer, while being well looked after and, most importantly, getting enjoyment out of race weekends. Another highlight of the coming year will be the 2014 Commonwealth Games in Glasgow. Unfortunately for Isla, she was a mere 4 months too young to be able to go for qualification; however watching friends competing on one of the biggest stages will surely be inspiring. It will put the fire in her belly to ensure that in five years time she is taking to the start line in Queensland, Australia riding for Team Scotland. For now though, Isla Short has the memories of her World Cup experience in Norway to fuel her motivation to succeed in 2014. Despite great challenges at the start of her season, this exciting young rider has shown that she has the determination and talent to make it at the top level. 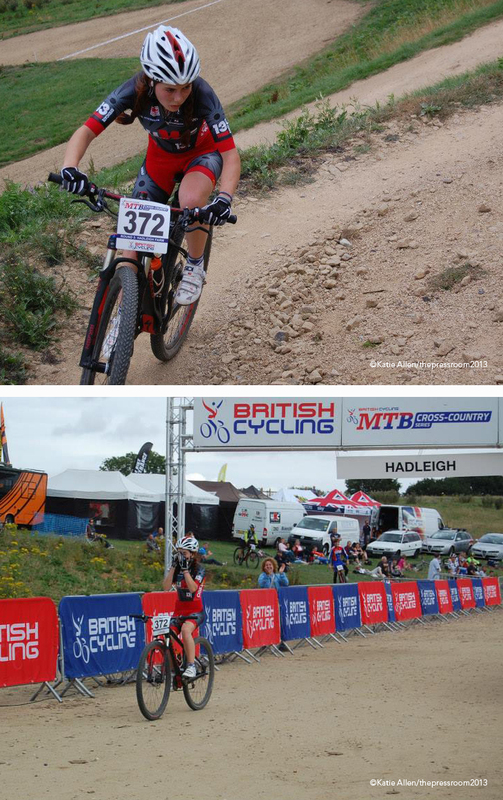 In the years to come, we will see much more of this young racer as her success increases and her profile rises to the top of mountain biking, both nationally and internationally.